What is the Home Screen Tab? 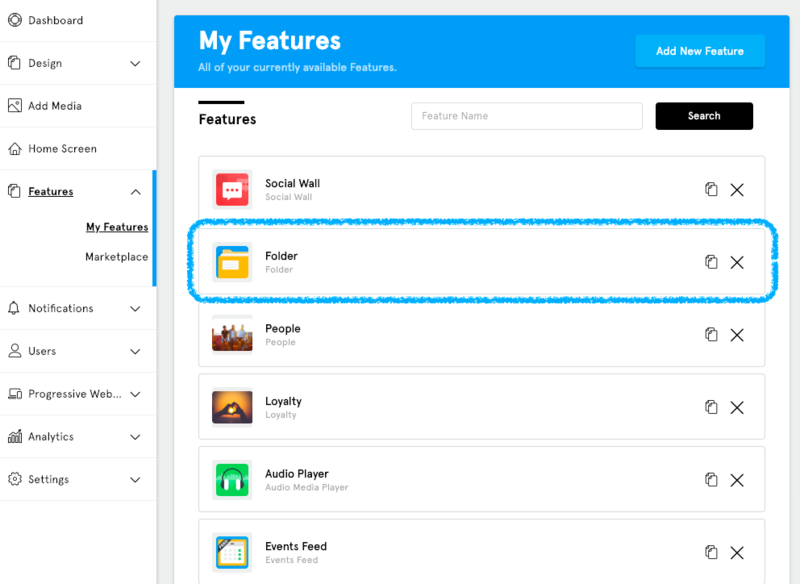 The Home Screen is the first feature that users will see whenever they open your app, and the Home Screen Tab is where you can work on your app’s home screen. What is the Home Screen’s primary function and what are the steps to accomplish it? You can think of the Home Screen as the main hub for your app. It’s the first thing that your users will see, and what type of feature that you assign as your app’s home screen lays down the foundation of how people will navigate around and experience your app. Next we’ll go over how to assign a feature as your app’s Home Screen. If you haven’t already done so, you’ll need to create at least one Feature for your app so that you can assign it as your app’s home screen. 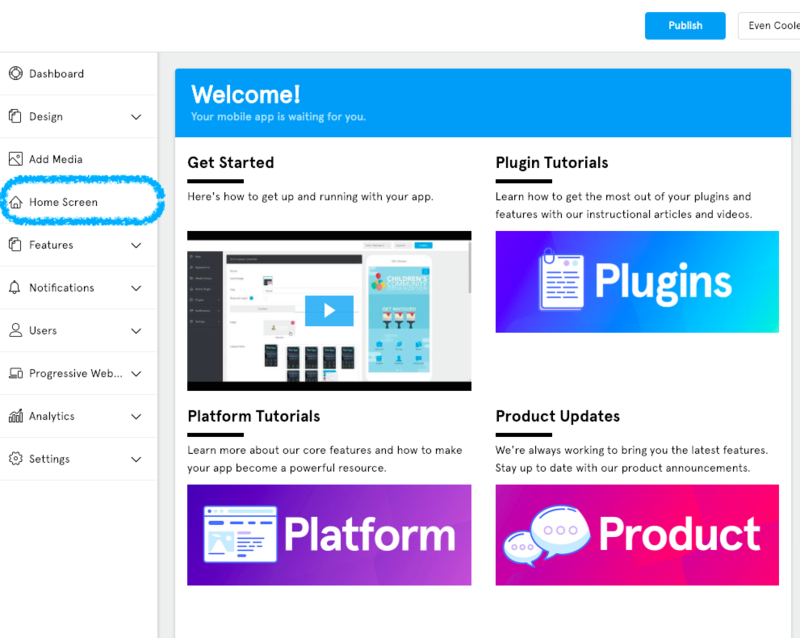 If you don’t know how to create a feature, we encourage you to check out this article. Once you’ve found the feature that you want to assign as your app’s Home Screen click on the feature to access it. Congratulations! You have now set up your app’s Home Screen and from now on you can access it by clicking on “Home Screen” in the App Dashboard. You can always change the feature that you use as your app’s home screen by following the steps above and selecting the new feature that you want to use. 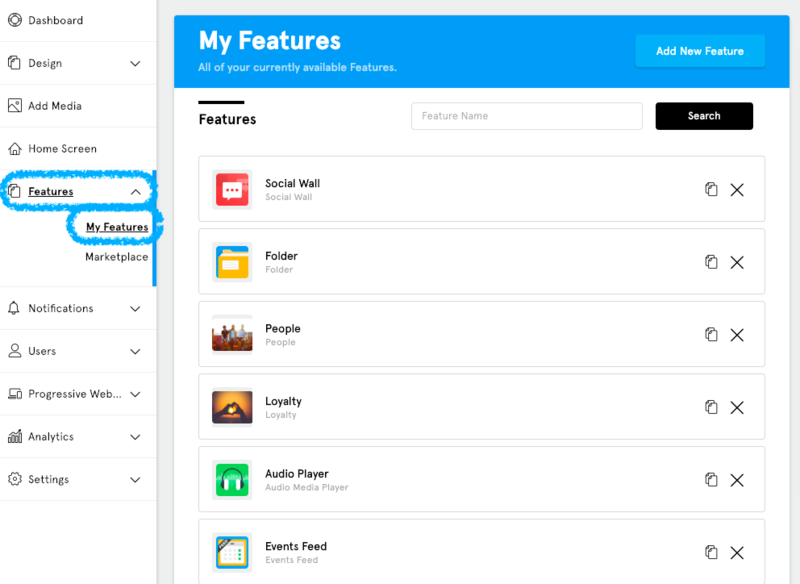 Note: You can assign any feature as your app’s home screen, but we recommend using either the Folder or Home Page Grid Layout features as they have typically given users the best experience when navigating around the app.